The Ultimate Wedding Venue is composed of 4 homes - Hale Kekela, Hale Koa, Streamside Beach House, and Pounders Beach House. Each property has amazing ocean views and great landscapes perfect for gatherings like reunions or weddings. The homes are fully furnished and all together, they can comfortably accommodate large groups. But if you are planning on a small group event, you can choose your venue favorites from the 4 properties. These homes are all in Laie, Oahu and are located close to each other. Hale Kekela Estate is a getaway paradise for those seeking for calm, private, and relaxing Hawaiian vacation. The sand and water are just steps away. You will love the sound of the ocean lulling you into relaxation. The amazing mountain background and lush greenery surrounding the home will give you that fresh and tropical experience. The estate has units, Hale Kekela Nui (6 Bedroom) and Hale Kekela Iki (4 Bedroom). With the two units combined, it can accommodate up to 35 guests. The 6th bedroom of the Hale Kekela Nui is also a game room with a pool table, footbal, pingpong, big screen TV, etc. Fun activities for the whole gang can be done at your backyard. Play volley ball in the huge green lawn or shoot balls at the basketball court just outside the house. The wide ground can also be the venue for the perfect BBQ party for the family. 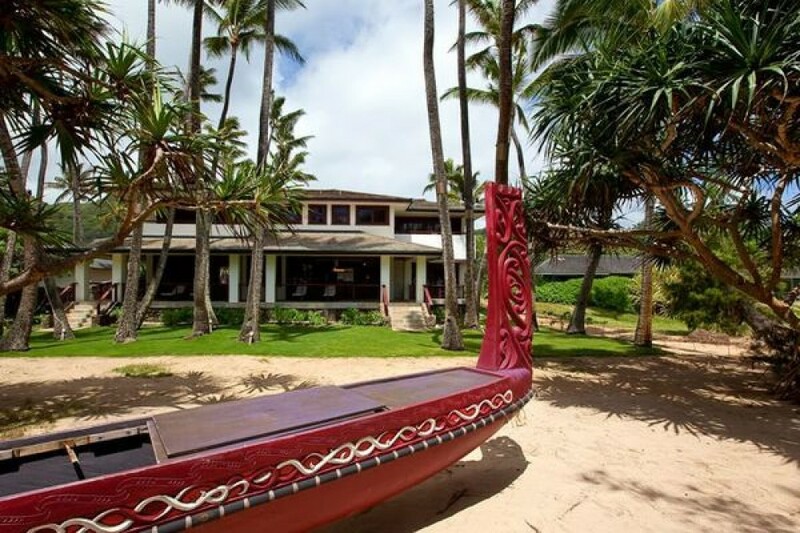 Streamside Beach House sits right on the sand just outside of the quiet Hawaiian town of Laie. This 3-bedroom beachfront home is perfect for families looking to spend their vacation in a real Hawaiian style beach house, instead of a stuffy crowded hotel. The home was newly renovated as of October 2012. Pounders Beach House is an older 5-bedroom, 3.5-bathroom Island style oceanfront house has breathtaking ocean views and a beautiful beach. This home is clean and would be great for families with children as well as those seeking privacy, peace and quiet. Legally licensed, transient vacation rental: 90/TVU-0055.